Are you interested in getting more information or a quote for the RockBody? Please fill out the form below and one of our Territory Managers will be in touch shortly. Meet Salford's tough customer for spreading hard materials—the BBI RockBody. Designed for rigorous tasks at construction sites and road maintenance, RockBody spreads rock, gravel, sand, salt, and aggregate materials with an elegant efficiency that belies its rugged exterior. Salford conceived of the RockBody as the next-level solution for counties, municipalities, and construction companies dependent upon using multiple dump trucks and graters to accomplish laying new roads or maintaining existing stretches. We built RockBody to be strong and dependable—a real money-maker for those who purchase it. From public road maintenance crews to mine operators, customers find that a RockBody material application alone replaces the old truck-and-grater way of doing business—spread the material, and you’re finished, plain and simple. RockBody represents road-building done the right way, every time with a high level of efficiency that saves time and money with each application and a much smaller equipment investment for customers. Meet BBI’s tough customer for spreading hard materials—the RockBody. 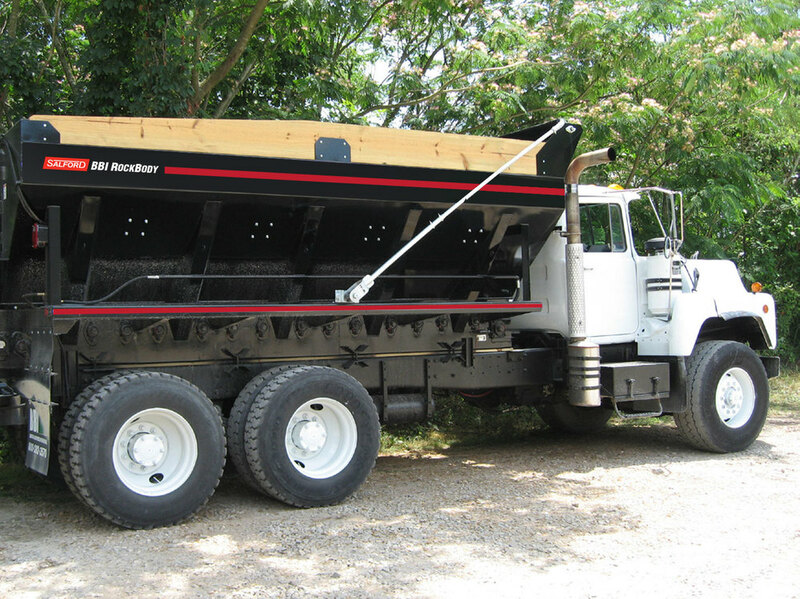 Designed for rigorous tasks at construction sites and road maintenance, RockBody spreads rock, gravel, sand, salt, and aggregate materials with an elegant efficiency that belies its rugged exterior.